Pass through Burtonsville, MD, crossing Hwy 29 (Colesville Road) headed westbound, and continue westbound through and out of Burtonsville on Hwy 198. Continue westbound for 2 miles until you reach the flashing yellow overhead light. 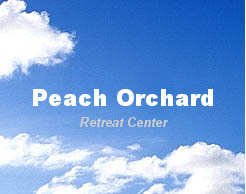 This is Peach Orchard Road. Pass the U.S. Post office on your right immediately after your turn south on Peach Orchard Road. Continue for 500 yards. 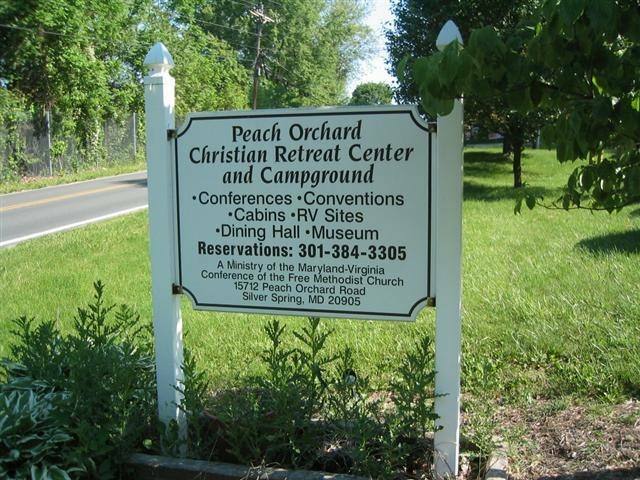 The Peach Orchard Christian Retreat Center will be on your right. The gravel road just past the Retreat Center will be the road into the Campground. The house on your left is the Caretaker's home. The one south of that is the Camp Director's home.